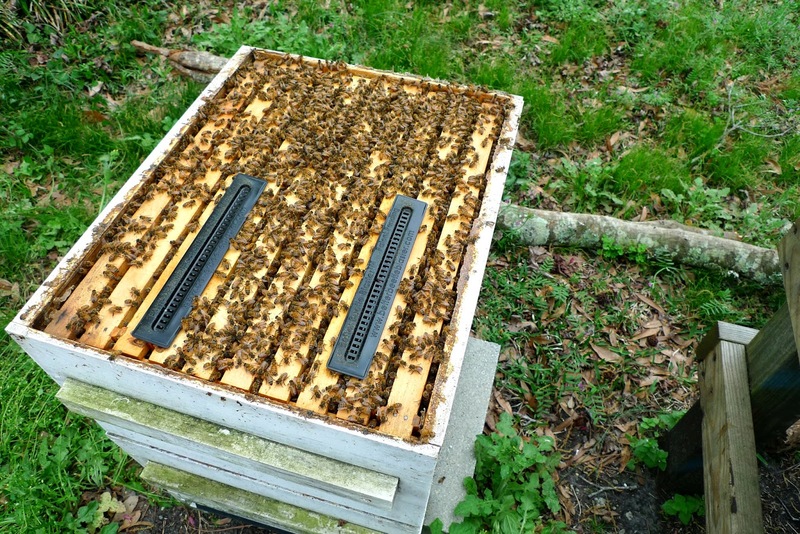 On Monday afternoon, we noticed that a bunch of our bees were hanging off the bottom of the hive in a strange way. 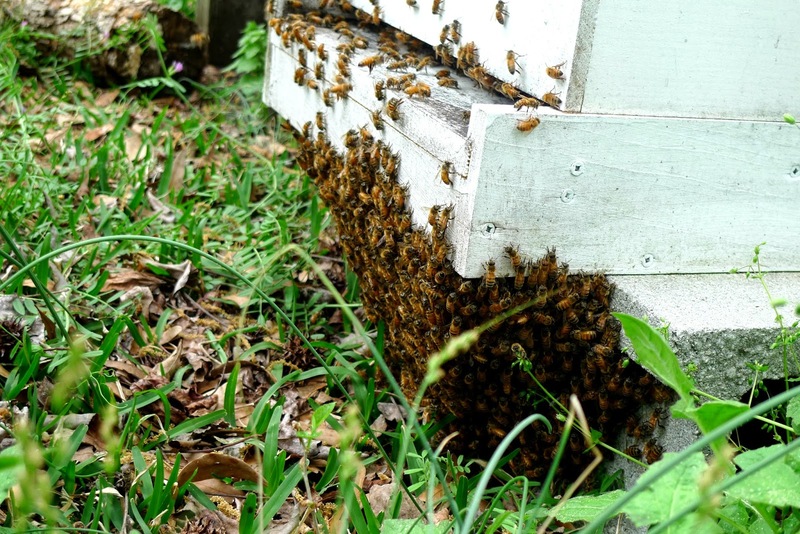 It didn't seem like the usual bearding behavior, which we've observed before - that usually happens on very hot and humid days, and the bees will hang on the outside of the hive to cool down. Monday was humid, having just rained, but it wasn't especially hot, and the way the bees were positioned - hanging low, in a sort of cone-like shape - made us wonder if they were about to swarm. 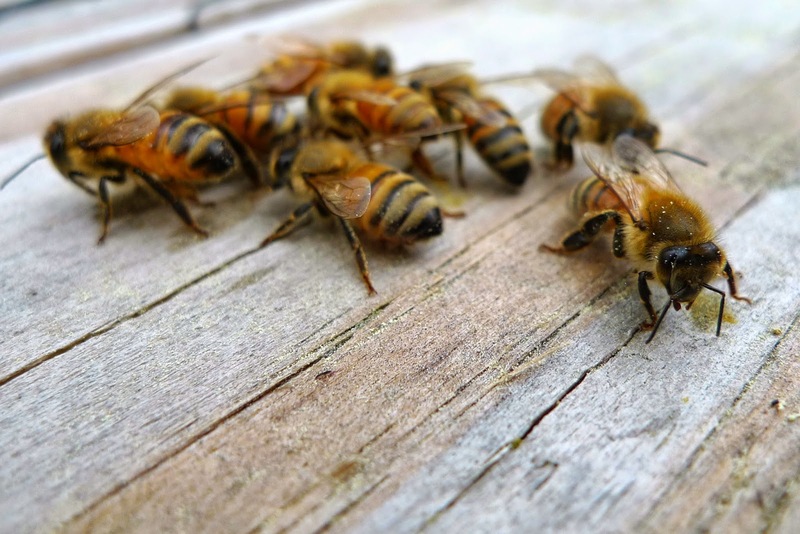 We hadn't yet had a chance to open the hive this spring because the weather had been so unpredictable, but it seemed like we were in a now-or-never kind of situation. And so we grabbed our new bee jackets, complete with fancy veils, lit up the smoker, and got to work. What we discovered is that our bees have been BUSY. Despite the ones hanging from the front of the hive, there were tons inside both the hive bodies, too. 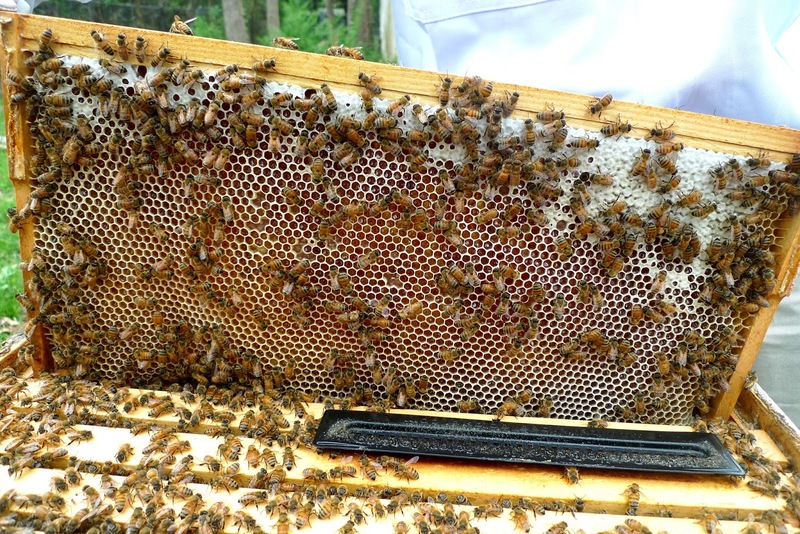 And not only that, but we saw brood, honey, and capped cells, which are all good signs of a strong and healthy hive. Honey bees are wild creatures. They have never been domesticated. They have been kept, studied, researched, and bred for many years, and, in a sense, the species has been improved. But they have not been tamed. Left to their own devices, they live exactly as they have lived for thousands of years. 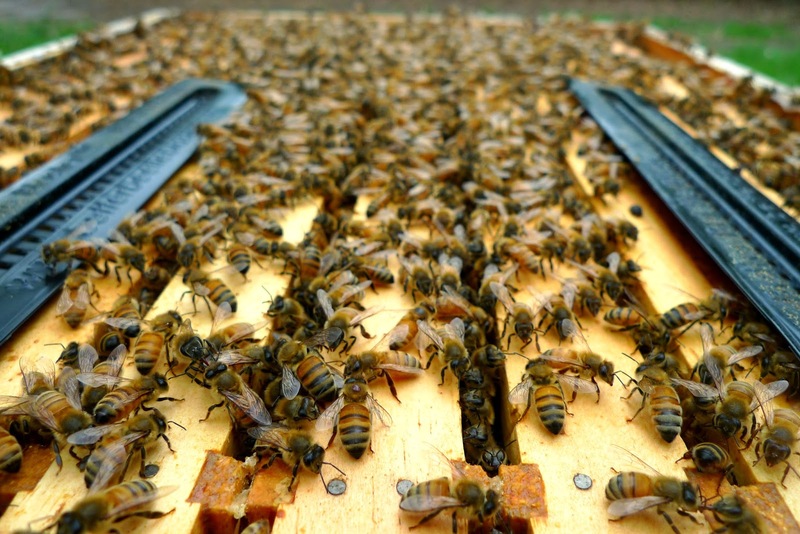 Our true, long-term success as beekeepers comes only after we come to understand their intimate lives, behavior, and motivations. Obviously I have a long way to go before I can consider myself a successful beekeeper. For now, trying to understand them is it's own frustrating, yet fascinating, reward.